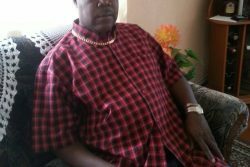 A rank of the Major Crimes Unit yesterday testified that he had suggested that Andrif Gillard, the man who claimed he was offered money to assassinate President David Granger, be charged with giving false information to the police. 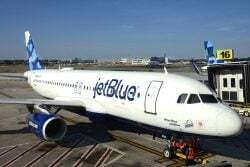 Corporal Keon Benjamin told attorney Christopher Ram, who represents the family of the man accused of making the offer, that he made the recommendation in a report to the Assistant Commiss-ioner with responsibility for Law Enforcement. 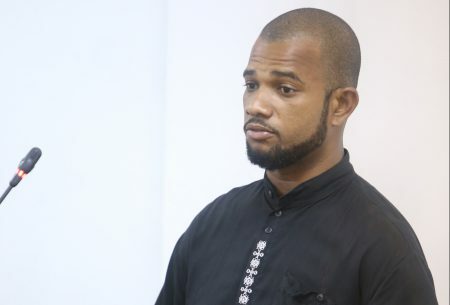 Gillard, in March of this year, had reported to the police that his neighbour, businessman Nizam Khan, had offered him the sum of $7 million to assassinate President Granger in 2015. At a hearing by the Commission of Inquiry into the alleged plot and police investigation at the Ministry of the Presidency’s Department of Public Service yesterday, Benjamin told Ram that he stood behind the contents of his report, which was submitted on instruction from his superior, Inspector Mitchell Caesar. Benjamin, who had played a role in the arrest of the brother of Nizam Khan, had not recalled submitting any report into the matter until the document was shown to him by retired Assistant Commissioner of Police Paul Slowe, who is leading the inquiry. He was later asked by Ram to read aloud paragraph 16 of the report for the record. The extract read made reference to the report from witness Leon Baldeo, who claimed Gillard offered him money to corroborate his story, and to the telephone records that proved that Gillard had indeed been in contact with Lloyd Adams. Adams had claimed that he had contacted Gillard after reports of the allegation surfaced and that Gillard told him that the story was fabricated and he was just trying to get back at Khan. Meanwhile, Deputy Crime Chief, Senior Superintendent Rishi Dass, under questioning by Slowe, accepted that it was reasonable to assume that proper work was not done during the investigation. This was after he related that during the brief period in April that he assumed the responsibility of Crime Chief, when Wendell Blanhum had been overseas, he had instructed the officers to visit the neighbourhood where the allegation was reportedly made and to speak to the persons residing there. Slowe, following on this statement, had put it to Dass that it was because he saw that no effort had been made on the part of the investigating ranks to get persons to corroborate Gillard’s story that he made the call, to which he responded in the affirmative. Dass did, however, note that efforts had been made with the investigation in relation to the confrontations held, but after being backed into a corner with Slowe’s questioning, admitted that while there were efforts made to get witnesses to discredit the story, there were none prior to finding anyone who could support it. Also testifying was Detective Sergeant Chetram Sewsankar, who said that the only substantial thing he did in the matter was facilitate the taking of Nizam Khan’s statement on the night of his detention but he could not recall much detail of what was contained in it. All that was related by Sewsankar was that Gillard had borrowed money from Khan in the past and when he failed to pay back, problems developed between the two. He stated that Khan denied offering Gillard money for the assassination of the President. Sewsankar also reported that he did not caution Khan before he took the statement, making it a general statement, although he could not justify why this was done. 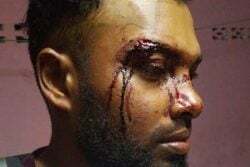 Sergeant Komal Pitamber, who headed the crew that went to Khan’s house and arrest him, had reported last week that Khan had declined giving him a caution statement after he took him to the Criminal Investigation Department (CID), but that he learnt the next day that the man had given a statement that night after he left. Following reports that Commissioner of Police Seelall Persaud had passed orders for Nizam Khan, his brother Imran Khan and Gillard to be placed on bail, Benjamin stated in his evidence yesterday that the Top Cop had allegedly called and spoken with Khan personally before his release. Corporal Jermaine Laundry had alluded to same during his testimony last week. According to Benjamin, on the night of March 29, he had been instructed by Sergeant Pitamber to take a statement from an individual at CID headquarters that turned out to be a land related dispute involving Gillard. He said that while attempting to do this, Imran Khan had begun behaving in a disorderly manner, cursing in the process. “…I arrested him. I saw he had a firearm in his pocket. I took possession…I asked if he’s a licensed firearm holder. He then take out his license…I observed that he’s a licensed firearm holder of a .45 pistol. I then told him to sit on the bench. Whilst he sitting on the bench, he turned and said that he already mek three (persons) get jail and I can turn the fourth person. Immediately, I emptied out the rounds from the magazine and I count it there. He had 15 rounds of .45. Whilst doing that, Inspector Narine came up and let Corporal Laundry lodge the said firearm and ammunition,” Benjamin related. Ram, during cross-examination of Benjamin, asked if it would surprise him to hear that no one else that had come before the commission and made reference to the threat he claimed Khan made. 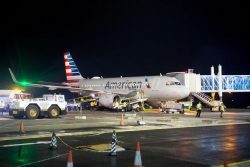 However, Benjamin’s colleague, Kenan Pickering, had related the same incident, minus the portion where Khan reportedly spoke about three persons. Ram asked whether Khan’s actions toward him did not constitute a threat and, if so, should it not have been taken seriously and addressed. Benjamin responded yes. Ram then put to him that it is not unusual for a person not to be charged after conducting themselves in a disorderly manner, as they may just receive a warning, which Benjamin also agreed with. Asked by Slowe why he did not charge Imran Khan for his conduct, given that he was the arresting officer, Benjamin paused for quite some time before responding that it was because the man had alleged that he and Pickering had assaulted him and so someone else had to handle the matter. He noted that no one had dealt with the issue of disorderly behaviour. Along with the firearm, Khan’s phone had also been taken. Continuing the story, Benjamin recalled that after taking the man’s phone, the device began ringing and the Caller’s ID showed an incoming call from “Seelall.” He said that Imran had announced loudly for all around to hear that it was the Commissioner of Police on the phone and that the two were friends. He said further that he gave the phone to Pitamber, who asked “Alonzo,” who was present there, if Khan could take the call, and permission was granted. Benjamin said that soon after, Inspector Narine came in and took over the matter. He said that Imran told Narine that he [Benjamin] had assaulted him, which he denied. Pickering also testified and he recalled that he was on desk duty on the night the officers returned with Nizam Khan. He said that Pitamber collected the station diary when he got there and proceeded to interview Nizam. Sometime around then, Nizam’s brother, Imran, came upstairs and was asked by Pitamber to wait downstairs as an investigation was in progress. He said Khan left, annoyed, and came back upstairs shortly after to make a report. Imran had reportedly said that he wanted to make a report that Gillard made threats to kill him, but Pickering said he questioned when this had occurred as Gillard was sitting not too far away and he had seen nothing of the sort. He said he then went on to inform Imran that there was no occurrence book and that a report could be taken in the station diary but it was being used at the time by Sergeant Pitamber. Pitamber then reportedly promised to take the report personally after he was through, but Imran continued to behave in a disorderly manner. The witness said that Imran was warned by several officers but he continued behaving badly, using explicit language. “He also made mention that we don’t know…he’s Imran effing Khan, he mek police lose this wuk and so forth,” Pickering stated. He said Corporal Benjamin became annoyed and placed Imran under arrest. 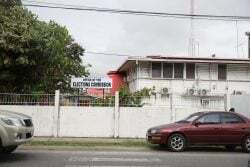 At this point, Pitamber informed that Imran was a licensed firearm holder and between Benjamin and Pickering, the man was searched and relieved of his weapon and cellphone, which were given to Pitamber. 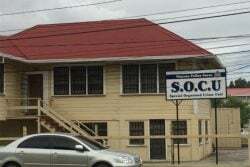 Detective Inspector of Police, Suraj Singh, who was in charge of the Major Crimes Unit for a few days during April while Mitchell Caesar was away, also testified. It was determined that Singh’s role was minor in the matter, as he only designated tasks after the file was sent back from the police legal advisor for aspects of the investigation to be completed. Singh had not been there when the allegation was first made as he was on sick leave.